ClearView Eye Clinic recognizes that the aging process can be an emotional as well as a physical process. ClearView Aesthetics, under the direction of Rhonda L. Comstock, RN, CLT is committed to providing our patients with the highest quality care. ClearView Aesthetics is dedicated to delivering medically proven, visible results with exceptional patient care. At ClearView Aesthetics, we offer a variety of the finest scientifically proven aesthetic services including laser treatments, laser hair removal, skin care, BOTOX, Dysport & dermal fillers, Latisse, microdermabrasion, facial peels & more. Specializing in cosmetic and anti-aging procedures, we strive to provide you with the latest techniques and expertise in a beautiful spa-like atmosphere. It is our goal to educate our patients on their personal skin type and conditions to assist them in determining a treatment plan with optimal results. We also offer non-surgical options including the Epionce beauty system for healthy skin. Looking to bring a youthful appearance back to your eyes? Dr. Leach is the leading surgeon for eyelid lifts, called a Blepharoplasty. This surgery will repair heavy or droopy eyelids by removing excess skin, muscles and fat. If heavy eyelids are impairing your vision, this procedure may possibly be covered by medical insurance. Rhonda Comstock, RN, CLT joined ClearView Eye Clinic in July of 2009 as a Medical Aesthetic Specialist. Her previous experience in nursing, public relations and as the Moscow Chamber of Commerce Past President has taught her the importance of personalized customer service. 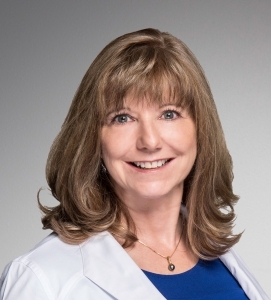 Born and raised in Northern Idaho, she is well known and respected for her extensive experience in the Medical Field as an Aesthetic and Clinical RN. Her philosophy is to listen to her patients’ needs, as each person has unique concerns and deserves individualized care. She is a graduate of Lewis Clark State College of Nursing and recently received her Certification as an Advanced Botox/Dermal Filler Injector and is a Certified Laser Technician by the National Laser Institute in Scottsdale, AZ. Coupon good towards aesthetic procedures and treatments. Expires 30 days after your birthday.